Concrete silos are constructed to accommodate a wide range of storage materials for a variety of industries, including manufacturing, mining, chemical, and power. Cement silo construction and concrete silo design take material, flow patterns, size and more into account when creating a custom storage solution. All materials flow through concrete silos in different ways depending on the construction, cone angles, contents and other factors. A mass flow silo allows the materials to move down the silo as a column with no flow channels, eliminating stagnant, non-moving materials. Mass flow silos are usually used for coal or other materials with segregation problems. Funnel flow silos are utilized for more granular types of materials. With a funnel flow design, the first materials into the silo are the first materials out. There is a flow channel in the middle which allows the center material to drain first, followed by the side material as the silo empties. Expanded flow silos offer the same benefits as the mass flow pattern, but for less cost. Expanded flow is ideal for materials that don’t need to be stored long. Fluidized flow silos are used for fine powders. The material is aerated with a large volume of air pumped into the bottom of the silo, letting the material act like fluid as it is discharged. The material to be stored in your silo will determine the bin floor design, either a flat or cone bottom. A flat bottom silo allows air slides to be bolted directly to the bin floor or onto plinths cast into the floor, making it ideal for fly ash, cement and other materials that require fluidizing systems. A cone bottom silo features a funnel installed at the bin floor. Depending on the size of the silo, the cone will either be supported by resting on the bin bottom floor or, for smaller silos, the cone can be attached to the sidewalls, creating a hanging cone. By adjusting the shape of the cone, different flow patterns can be achieved. There are several types of concrete silos to choose from. Slipform silos are best for construction projects over 65’ in diameter or if multiple concrete silos need to be created at once. These concrete silos are formed from a continuous, monolithic pour of the concrete walls, necessitating a round-the-clock construction schedule. Jumpform silo construction projects range from 10’ to 65’ in diameter. Jumpform silos are poured in a slow controlled process, allowing for additional time for quality control and silo inspection during the construction phase. This process makes Jumpform silos one of the most impervious silos that we build in our industry. Concrete stave silos consist of interlocking concrete staves compressed by exterior steel hoops. Fly ash silos can be built with either Jumpform or Slipform systems and the construction and design process takes into account that not all fly ash flows the same. Stacking tubes facilitate an even distribution of material into neat piles. This design is generally utilized at coal plants, mines and storage facilities, shipping terminals and for limestone storage. Marietta Silos offers consultation and design services and works with you to design concrete silos that best match your intended application. No two silo construction and design plans are exactly the same. 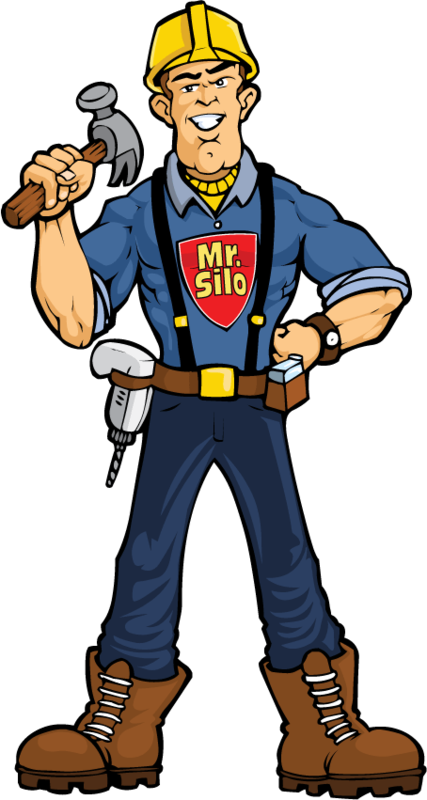 At Marietta Silos every silo is custom designed according to your materials and specifications. Marietta Silos’ knowledge and experience means that our designs will be the best possible solution to fit your unique needs. View sample silo drawings and get started on your silo construction project today.